Nepal captain Paras Khadka. Image: Nepali Crkt Fan Club/Twitter. 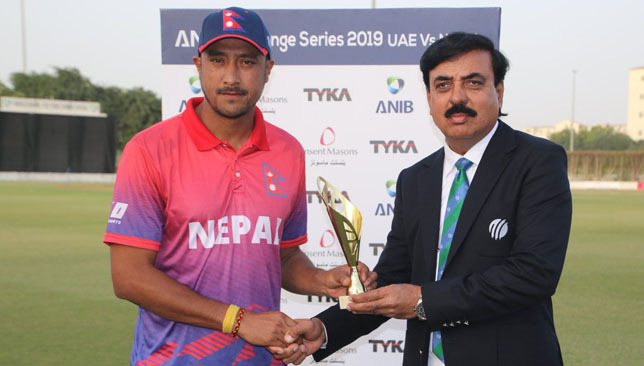 Nepal captain Paras Khadka rose to the challenge when his team needed the most as he scored a fine century to help secure a four-wicket win and an ODI series triumph over the UAE in Dubai on Monday. With the three-match series locked at 1-1, hosts UAE posted a healthy 254-6 batting first at the ICC Academy, thanks to a late charge by veteran batsman Shaiman Anwar (87 from 70 balls) and Mohammad Boota (59 from 31). The late assault brought some respectability to UAE’s total after they were reduced to 2-2, with openers Chirag Suri and Ashfaq Ahmed out for duck. CP Rizwan also chipped in with a handy 45. Captain Khadka was the pick of the Nepal bowlers as well, snaring 2-44 from his 10 overs, accounting for Anwar and Muhammad Usman. In reply, UAE bowlers hit back hard, reducing the visitors to 129-4. Captain Mohammad Naveed kept a tight lid on the scoring, finishing on 1-38 from his nine overs with contributions from the rest of the attack. But Khadka kept Nepal in the hunt. 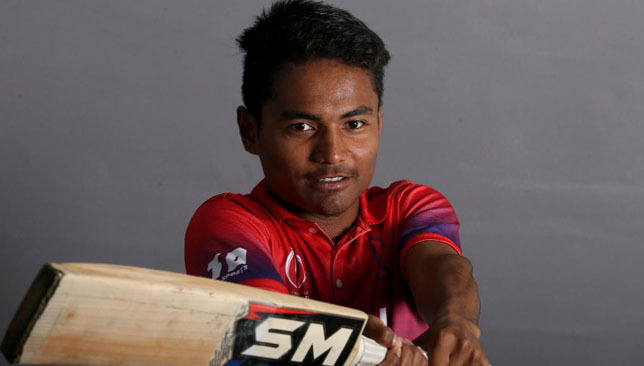 His 115 – the first by a Nepal batsman in ODIs – came off just 109 balls with 15 hits to the fence and one over it. With Khadka scoring the bulk of the runs, the total didn’t seem daunting. Even when the skipper was dismissed with the total on 215-6, Nepal didn’t lose their cool as Aarif Sheikh (21 not out) and seamer Sompal Kami (26 not out) steered them home for a four-wicket win. Nepal team level the ODI series on Saturday. Image: Emirates Cricket Board/Twitter. UAE were outplayed by Nepal in the second ODI in Dubai, going down by 145 runs on Saturday. Batting first, Nepal made a cautious start after their debacle in the opening match where they were bowled out for 113 and eventually fell to a three-wicket defeat. On Saturday, openers Gyanendra Malla and Binod Bhandari added 61 runs to lay the a foundation for a challenging total. However, UAE fought back with wickets in the middle overs. Seamer Amir Hayat – who was the man of the match in the series opener where he took three wickets and scored an unbeaten 24 in a tense game – was at it again as he snared 3-41 while leg-spinner Imran Haider (3-54) took crucial middle-order scalps including that of captain Paras Khadka. At 113-5, Nepal were in danger of being bowled out for another low score. 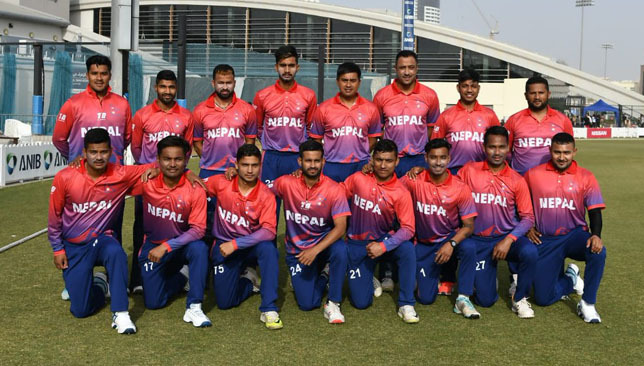 But 16-year-old lower-order player Rohit Paudel came to their rescue, hitting 55 off just 58 balls with seven hits to the fence as Nepal pushed the total to 242-9 in their 50 overs. Given the challenges batsmen have faced so far at the ICC Academy, the target was always going to be a challenging one. But UAE fans wouldn’t have expected it to be this tough as seamer Sompal Kami ran through the UAE line up, finishing with figures of 5-33 from his 6.3 overs. The rest of the UAE line-up was mopped up by star leg-spinner Sandeep Lamichhane who took 4-24 from four overs. The UAE were shot out for 97 in just 19.3 overs, losing the match by 145 runs and seeing the three-match series levelled at 1-1. For the hosts, Muhammad Usman (26) and Ashfaq Ahmed (20) were the only batsmen who scored more than 20 runs. During his innings of 55, 16-year-old Paudel created a world record as he became the youngest batsman in history to score a fifty. Paudel, aged 16 years and 146 days, hit a fifty batting at number seven. He beat the ODI record set by Pakistan great Shahid Afridi who did so at the age of 16 years and 217 days. Afridi had made 102 against Sri Lanka in Nairobi in 1996. The third match of the series will be played in Dubai on Monday.